This elegant bridal ring set features an engagement ring with three floral designs as the centerpiece adorned by additional diamonds along the band. 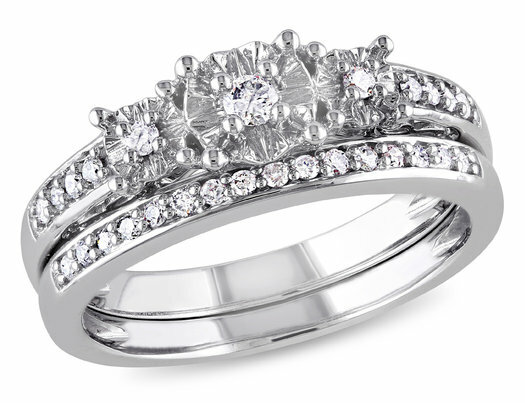 This stunning set is complemented by a beautiful contour semi-eternity wedding band. Crafted of fine 10-karat white gold.